At first, my tears came easily. It sounds funny to me when I think of describing it that way... that it was easy. No, my grief wasn't and isn't easy. I don't like to cry. Who does? At first, though, Sadness was the ruler and I relinquished the tight control I usually maintain over my emotions and gratefully gave in. That's why, at first, my tears came easily. As the days go by and the months pass, I am back to normal. It sounds funny to me when I think of describing it that way...that I am back to normal. No, my normal...it's not same, as it was. I still don't like to cry. Who does? I have taken charge and relegated sadness back down to it's dank recesses, where it belongs. That's why, as the days go by and the months pass, my tears don't come as easily. I am back to normal. Most recently, though, anger comes lightly. It sounds funny to me when I think of describing it that way...that anger is light. No, my anger is not light. It is dark...much darker than sadness. 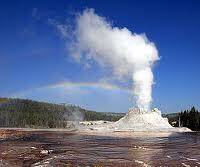 It is a simmering geyser that periodically erupts and spews. "What does she know about it?" "How can he be so insensitive?" "How dare you tell me to have a nice day...don't you know that I can never again have a nice day?" "Do you really want to know how I am doing?" "HA! I didn't think so." Yesterday, as I carefully listened to their voices, I recognized the words, the lyrics of their songs. It sounds funny to me to describe their tales as lyrical songs. No, their songs were not filled with happy music, but I could hum the tune and I knew the words and I could sing along. When it was time for my solo, as I looked around the room into each pair of sad mirroring eyes, the tears came easily. It sounds funny to me when I think of describing it that way... that it was easy. No, my grief is still not easy. I don't like to cry. Who does? But, at the end of the day in the arms of another Joe's mother, I found the lightness of understanding. Thank you, my Compassionate Friends. Went to 360 for dinner. Saw Bill for first time since he went away to College. Home early for supper. Junior to bed. Jean doing home work an I went to Mt. Prospect to see "Father & Son." Home all morning. After lunch decided to ride to Rae's for a visit, Not home so took Junior to Bambs for a hair cut and saw dog show and birds on display. Ran into Aunt Mary. All came home together. Home all morning. BAked chocolate layer cake. Raining furiously all day. Left in afternoon. Violet came over to play with Baby. Read a book and bed. I am glad you have compassionate friends and family. They sure do help with the hard times. The Compassionate Friends is an organization that was recommended to me. The members are all parents who have lost a child at any age. I attended a meeting on Sunday of the local chapter. It quite emotional to be among people who have the same sad but shared experience. Sometimes letting the tears flow really does help. It is a release. There is something about a “good” cry, that is true, Kathy. I'm so glad that you found this group. It is so helpful to have a place to go and people that have been in the same place as you. That's interesting that you describe their mirroring eyes. You see something in the eyes that goes without explanation. After 10 years, I think I've just learned to live with it, but not normal for me. It is like I've lived two different lives, in two bodies. I hope that you are going to be safe and dry thru the upcoming "frankenstorm! Ross too! Of course, I have no real idea of what you've been through, but I can definitely recognize that anger of which you speak--I think it's one of those common defense mechanism. When ever I feel that deep anger--rage, really--it's my cue that I am trying to protect myself from something even scarier and more painful. I'm glad that you found this group--and still so sorry that there is even a need for such a group. Will you go back?